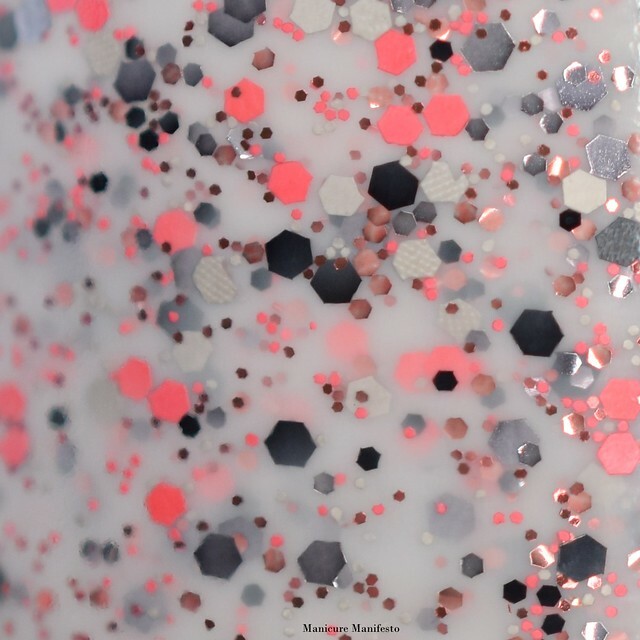 Coral Of The Story features a white crelly base with an assortment of coral, black and rose gold glitters. The formula was easy to work with taking three coats for full coverage. 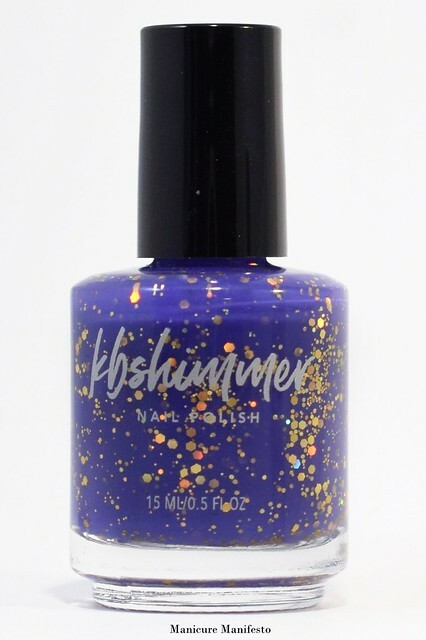 This does dry with some texture due to all the glitters so top coat is recommended. Photos show three coats of Coral Of The Story with one coat of KBShimmer Clearly On Top top coat in daylight spectrum lighting. 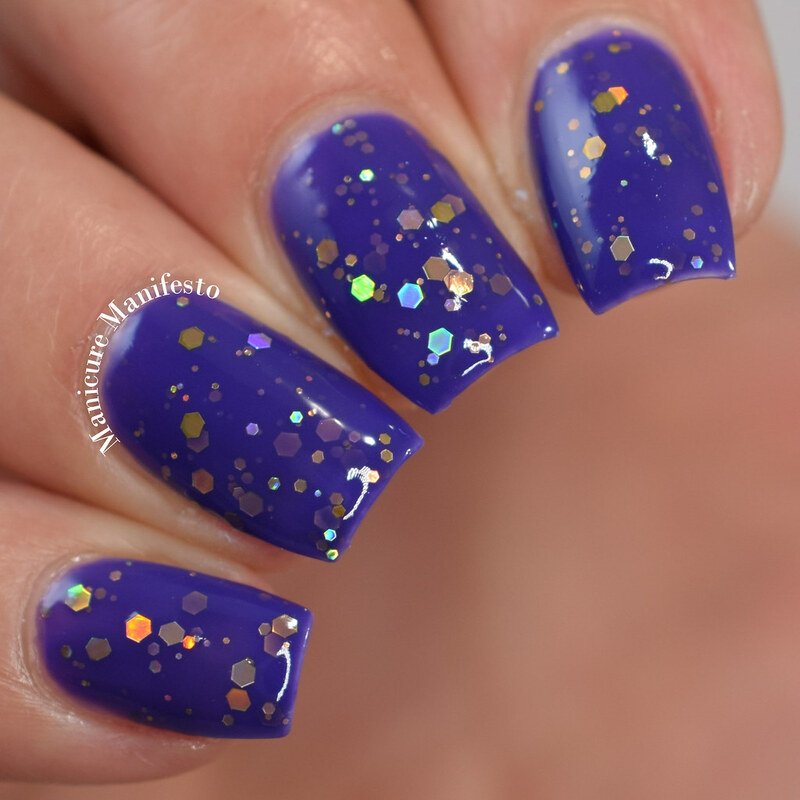 Regal-Ize It is a purple crelly base filled with small and medium gold holo glitters. 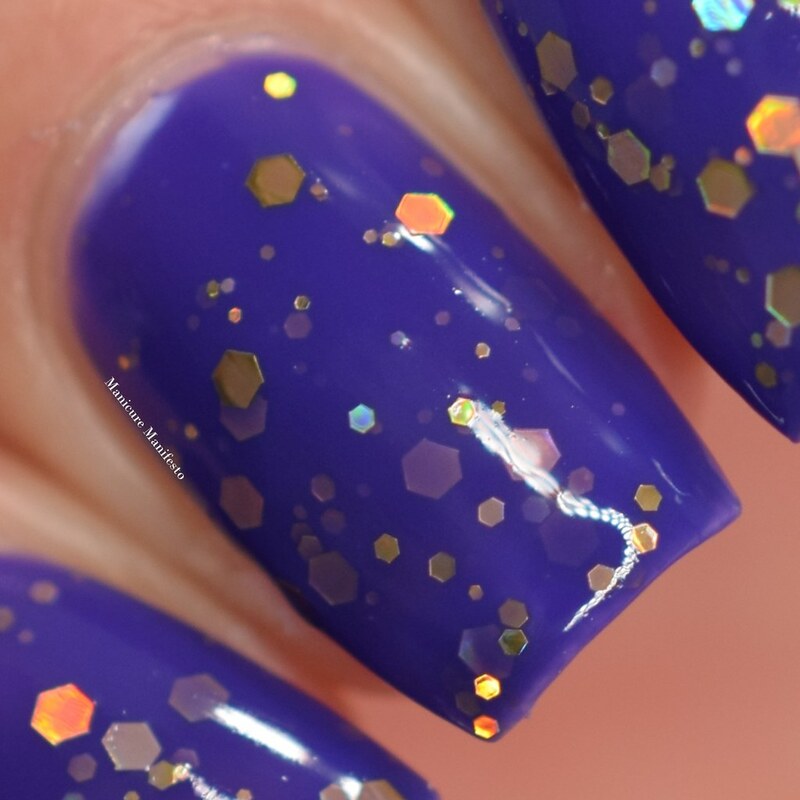 The formula was easy to work with taking three coats for full coverage. 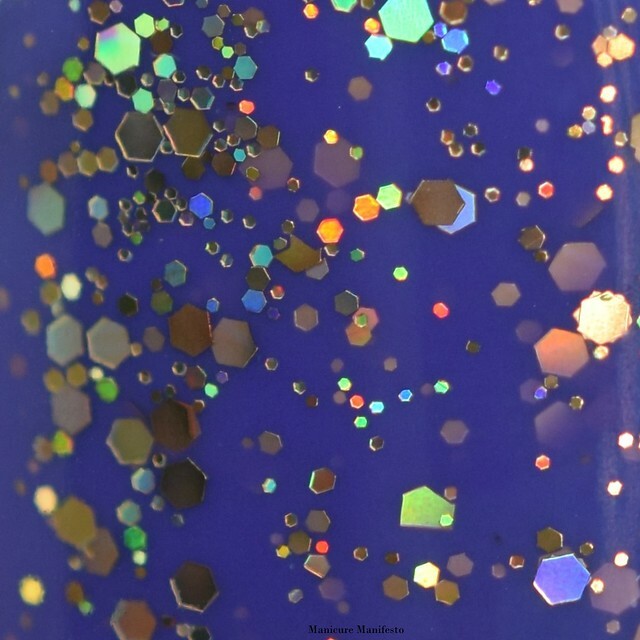 This one dries surprisingly smoothly on its own considering the glitters in it, but top coat is still recommended for a perfectly even finish. 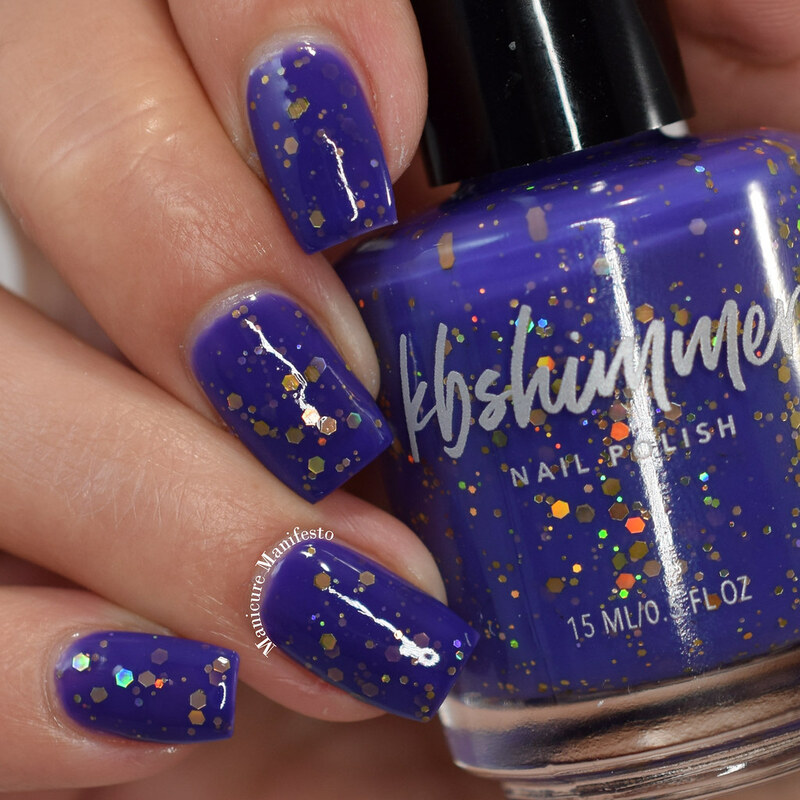 Photos show three coats of Regal-Ize It with one coat of KBShimmer Clearly On Top top coat in daylight spectrum lighting.